This week Jaquelle and Sean talk about slain missionary John Chau and how Christians should think about global missions. They also talk about how Sean sabotages travel, debate the merits of encores, and plug the upcoming Christmas Extravaganza. 10:09: Introducing this week’s topic: the death of John Chau. 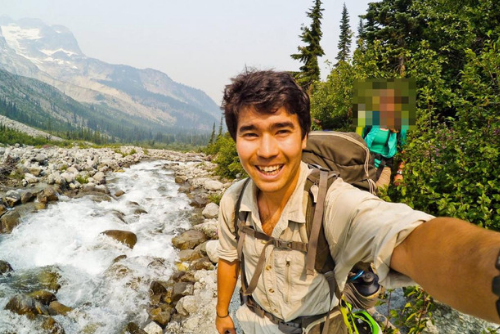 10:48: The story of John Chau. 15:47: What John Chau did right and what we can learn from him. 30:41: Is there anything to critique about John’s methods? 42:10: Announcing our latest giveaway. Special thanks to the CSB for sponsoring this week’s episode. Learn more about the CSB here. Learn more about The CSB Spurgeon Study Bible here. Thanks for your well-reasoned take on this – I always appreciate the lightness with which you handle heavy topics. This episode reminded me of ‘The Journals of Jim Elliot’ – a wonderful example of someone putting all their trust in the One who has proclaimed victory. I really appreciate your comment, Ben. That was totally what we were trying to do — provide balance. And I also thought of Jim Elliot in this context. Thanks for listening! You two do a stellar job in choosing these topics! It’s so insightful and encouraging! It really helps me to think about some tough issues!